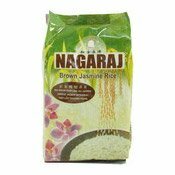 "Nagaraj" notably the best Brown Jasmine rice of Thailand, is selected from the richest farmland and processed by the hand of the most experience. Concerning much about quality and nutrition for out consumers, every "Nagaraj" rice are carefully controlled before reaching your dish. 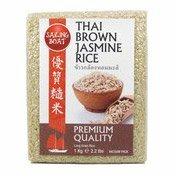 Originated for centuries in Thailand, the Brown Jasmine rice has been preserved as healthy food for all Thais. You can taste more than a dish of rice from its unique characteristic of natural aroma and texture. 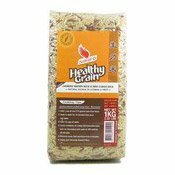 The aroma comes from perfect combination between premium seeds and fertile soil without neither genetic modify (GMO) nor artificial substitutes, so good and ideal for health conscious consumers. 1. Measure 2-2.5 cups of water 1 teaspoon salt into a heavy saucepan (at least 2 qt. capacity) and bring to boil. Add a table-spoon of butter or margarine, if desired. 4. Makes about 3 cups of fluffy brown jasmine rice. 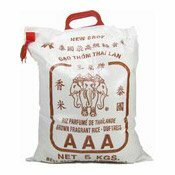 Simply enter your details below and we will send you an e-mail when “Thai Brown Jasmine Rice (泰國糙米)” is back in stock!